Tea can be a refreshing drink on a lot of different occasions but for the most part, on hot summer days. Let me be the first to tell you that this ginger and Lemongrass duo combined with the earthy taste of black tea will make all your stresses of hot weather whither away. 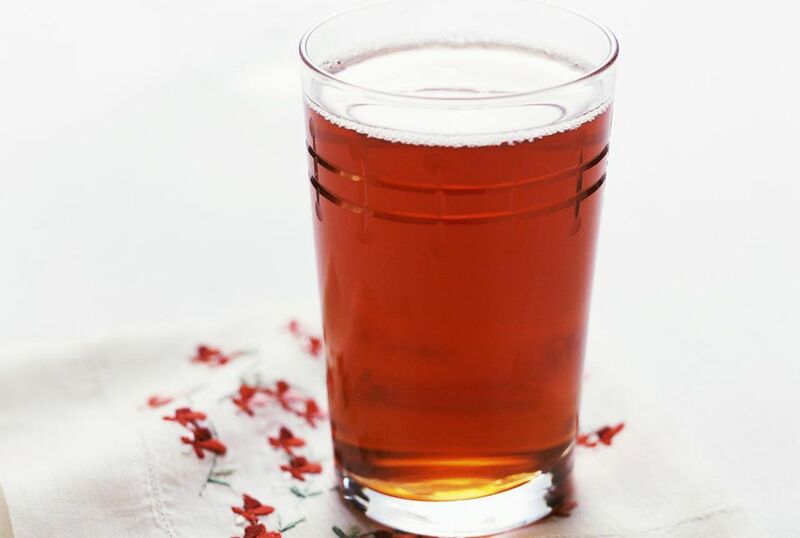 Even though summer months may make you crave iced tea, Darjeeling tea is packed with antioxidants that help cleanse and revitalize the body, making this a drink you can enjoy any time of year. In addition, ginger gives it a kick while offering benefits for the immune and digestive system. Lemongrass also spruces up this tea by providing floral and citrus flavors. In addition to this tasty herb, it can also help stress headaches and help relieve sore muscles. This is the perfect alteration for that daily iced tea you crave but are slowly getting bored of. Have no fears, this tea will have you coming back again and again. Looking for even more extra "umph"? Serve the iced tea with a few lemon wedges and feel free to squeeze one in the glass when you need a tad bit more flavor. In a small saucepan, combine the sugar, 1/2 cup water, lemongrass, and ginger. Bring to a boil over medium-high heat, stirring to dissolve the sugar. Reduce heat to low and simmer for 2 minutes. Remove from the heat and allow the lemongrass and ginger to steep in the sugar syrup for at least half an hour. For more pronounced flavor, place in the refrigerator and allow to steep several hours or overnight. Strain the lemongrass ginger syrup through a small sieve, pressing on the solids to extract as much flavor as possible. Discard the solids, and then add the syrup to the pitcher of tea. Add three cups of cold water to the tea, and stir well. Chill the tea, and serve over ice. Enjoy with friends or family or by yourself!